Join the Upper Keys BPW for our monthly get together! It's a luncheon this month, and we have a great speaker! 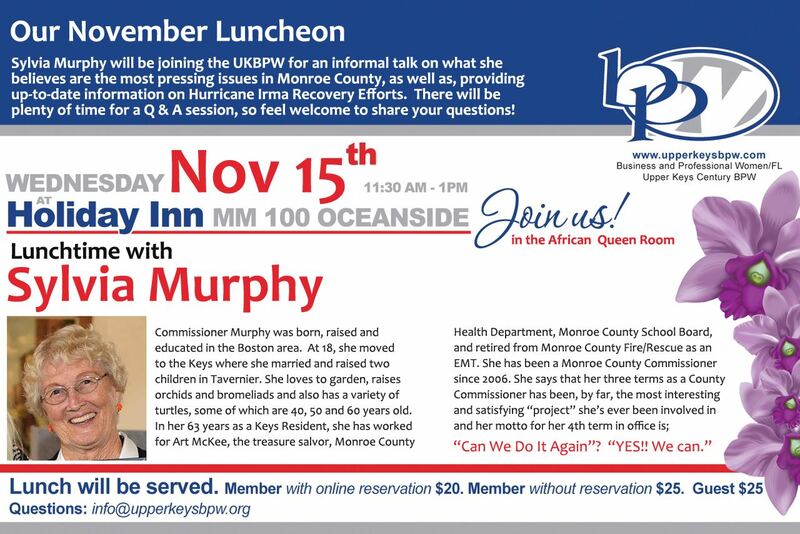 County Commissioner Sylvia Murphy will be speaking on what she believes are the most pressing issues in Monroe County, as well as providing up-to-date information on Hurricane Irma recovery efforts.There will be plenty of time for a Q&A session! $20 for members with on-line reservations, $25 for everyone else. Wednesday, Nov. 15, 11:30. Reserve your space here!